When you checkout - your credit card information is secure. We accept and checks and money-orders and: To order by check or money order, please use the online checkout to place you order, then we will give you the mailing address at the end of the process. Please include printed copy of your order with payment. Same program as described elsewhere, except this is the DIGITAL DOWNLOAD version. You save the $7 shipping/handling by getting the digital download, and start learning as soon as you download and install! When you order by credit card, you will receive the an immediate download side (with the special userid/password) immediately. If you pay by Paypal, there might be up to a 24-hour delay because we have to manually send you the FTP site after payment is confirmed. 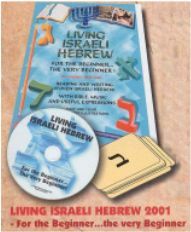 The Rabbi lauded and child-proven way for any beginner to learn to read Hebrew in 13 lessons (over 2700 voice files). Then go on with dozens of other lessons, learn the top 400 words in the Bible, and practice with fun games. Perfect for the very beginner or for someone who wants to learn some basic vocabulary or brush up on reading skills. 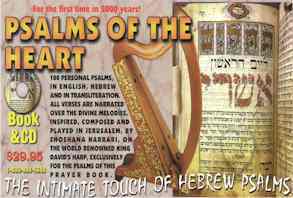 Includes several Jewish blessings and songs, Psalms, cantillation (laining) symbols, and scriptures with which you can practice. Works on all popular versions of Windows, including the newest Windows 8 and 8.1, and also runs on Vista/Windows-7 64-bit computers. 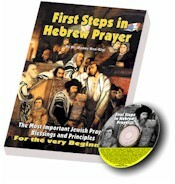 The PDF files contain approximately 200 pages of printed materials, including a "How To" section, 8 stories in Hebrew-only, and complete transliterated audio-transcripts of all teaching CDs. All files can be downloaded and used on your MP3 player, or you can listen to them on your computer. In the US, we sell a physical version of this product, which include a three ring binder, printed materials and 14 CDs. With the CD-Only edition, you get all the same audio files, which you can listen to on your computer, or download to your own MP3 player. You get all the same text materials, but no trees killed in the making, they are in PDF format (you view on your computer, or print out if you desire). MP3 technology allows us to put all the files on one single disk. Works on all popular versions of Windows, including the newest Windows 8 & 8.1, and also runs on Vista/Windows-7 64-bit computers. We are recreating this product to be a digital download. We have limited CDs remaining in stock. Learn the most frequently used Hebrew words in the Bible! Not just a boring list of words! Neal has a unique way of making the words come alive with interesting stories and Jewish insights and often ties together seemingly unrelated words. The words are divided into 24 lessons. Most words are pronounced three times, and sometimes spelled. The most common meanings of each word are given. Please NOTE: These are AUDIO CDs - not a software program. You play them on your audio-CD player (in your car, at home, or on your PC), but there is no visual interface and no accompanying booklet. 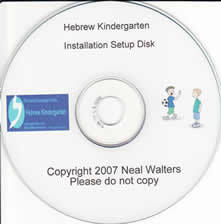 Our software program "At Home with Hebrew" contains the same words where you learn them at your computer, and can practice reading, and see the words used in various scripture passages. A beautifully illustrated 48 page spiral-bound book that teaches the Hebrew Aleph-Bet from the very beginning. Also includes flashcards to practice the Aleph-Bet and an audio CD to work on your pronunciation. Use the CD to listen to in your car, while you jog, or at home! Some people like to have an alternative intro Aleph-Bet book to go along with the other computer-based tools they are using. 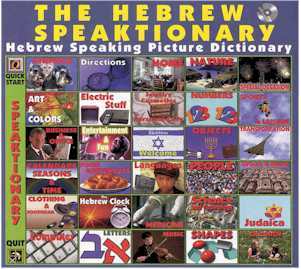 Enrich your language and understand the Hebraic mindset! 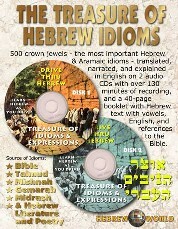 Regardless of your level you can now enrich your speech not just by adding words to your vocabulary, but by understanding and using the most important 500 crown jewels Hebrew Idioms - translated, narrated and explained in simple English on 2 audio CDs and a 40-page booklet. This is the only source that will also explain to you the literal meaning of the idioms, allowing you to understand the Hebraic mindset. No previous knowledge of Hebrew is needed! Now includes Free MP3 cd with the entire Bible Narrated in Hebrew arranged by books, over 65 hours of recording! No other comparable product is on the market that is this easy, filled with capabilities, or user-friendly. Even low quality competitors charge up to $1000 dollars! The Hebrew Bible (entire Tanach) Narrated - 4 computer CD/ROMs containing MP3 format files. On 4 audio CDs (MP3 format)! The best Hebrew narration ever recorded with excellent intonation, diction, and accent. Eech one of these recordings was broadcast on Kol Israel, a chapter every night. These CDs can dramatically improve your Torah reading and understanding of the Hebrew Bible. This is essential especially for congregations in the preparation of the weekly Torah portion. Note: Will not play in your car unless your car supports MP3 format. The newest product of our "Drive Thru Hebrew" series - Learn Hebrew as you Drive! 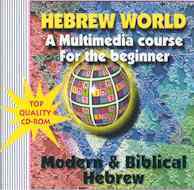 Many of you requested an audio CD to which they can listen at leisure time or while driving and still learn to speak Hebrew. Well, we "custom made" it to your requests! Includes a 16-page downloadable and printable manual. 25-conversation segments and a short-story. 2-levels, with and with-out English. - Bible Code Movie Clip - a presentation of the Code theory. 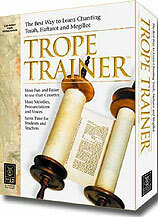 Trope Trainer - World's best Bar Mitzvah / Bat Mitzvah trainer! - Full control, allows you to change: 5 different accents, 12 different melodies, the speed of narration and the pitch, allowing you to match, literally, every aspect of your needs or the needs of your child.